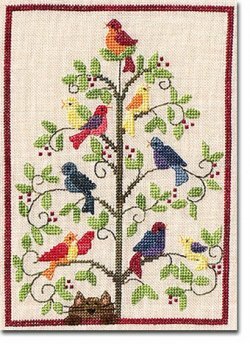 The Singing Tree Cross Stitch Design. Stitched on 32 count Cream Belfast linen over 2 threads. Stitch count 80 by 112. Design area 5" by 7".